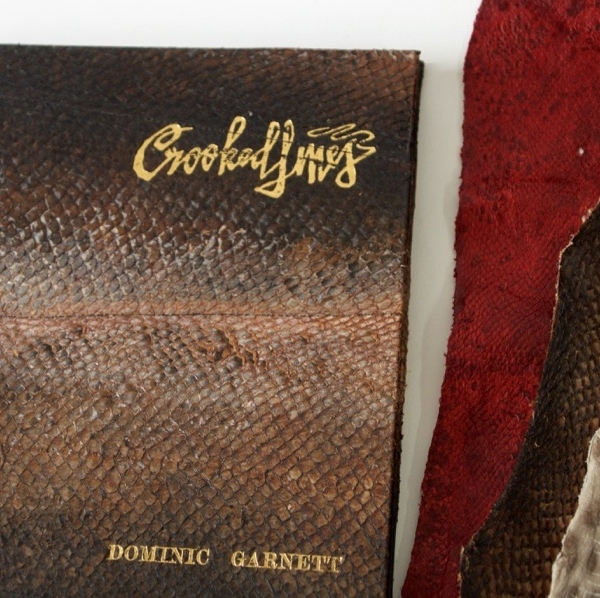 Unique rare collector’s edition of Crooked Lines: A Collection of Fishing Stories bound in fish skin leather by Kari Furre. Signed and authenticated. 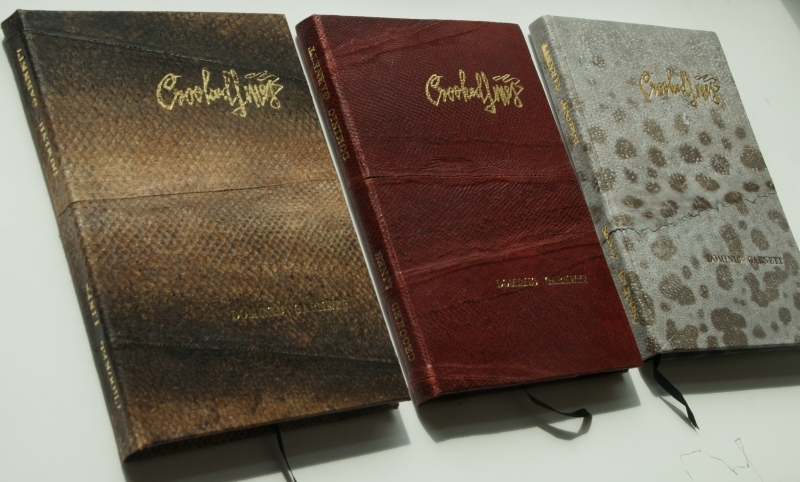 UNIQUE COLLECTOR’S EDITIONS OF CROOKED LINES IN FISH SKIN LEATHER, AVAILABLE NOW! 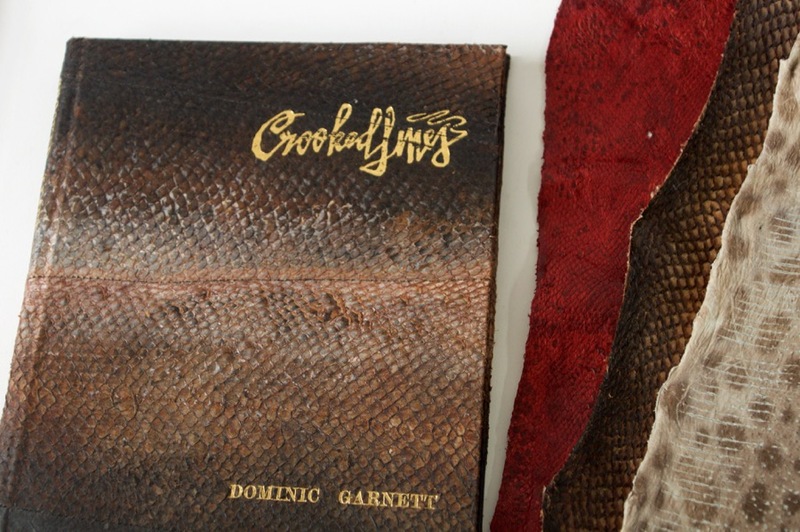 Created using sustainable fish skin leather, the new collector’s editions of Crooked Lines are beautifully made, eye-catching and totally unique! 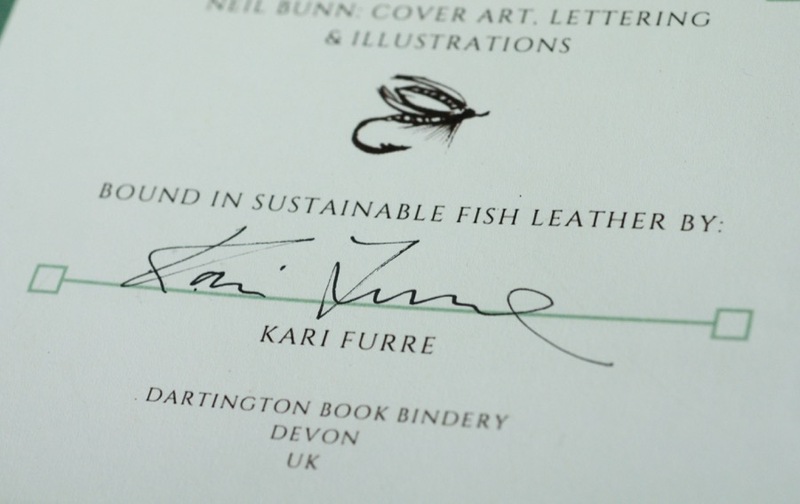 Painstakingly crafted by artist Kari Furre and bound at Dartington Book Bindery, Devon, each is a true one-off, authenticated and signed by the maker, and author, besides designer Garrett Fallon and illustrator Neil “Lord” Bunn. These very special books will not be available as a simple “click and buy” item, but must be ordered from me directly. 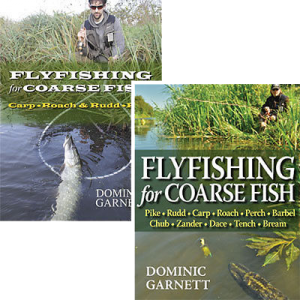 Different versions will be available in natural and dyed finishes, with images shown here as they are finished to show individual books and buying options. Prices per book will be £250 for mint editions, although there will also be earlier, slightly imperfect copies sold for approximately half this price. 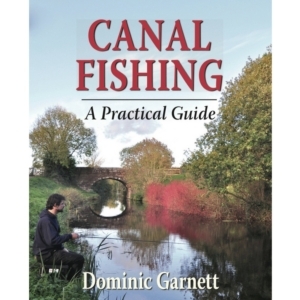 A great long term investment and something totally unique to the world of UK fishing and collectible angling books! 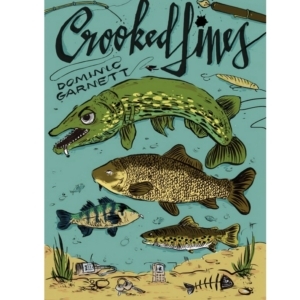 Find the original Crooked Lines signed at just £9.99 in the shop HERE. 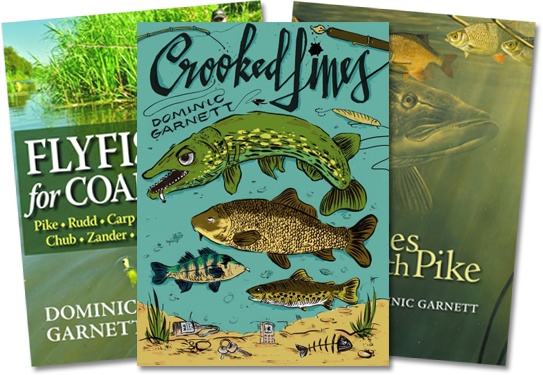 CLICK HERE TO READ MY RECENT BLOG POST TO FIND OUT MORE ABOUT THE NEW BOOKS AND ARTIST KARI FURRE. 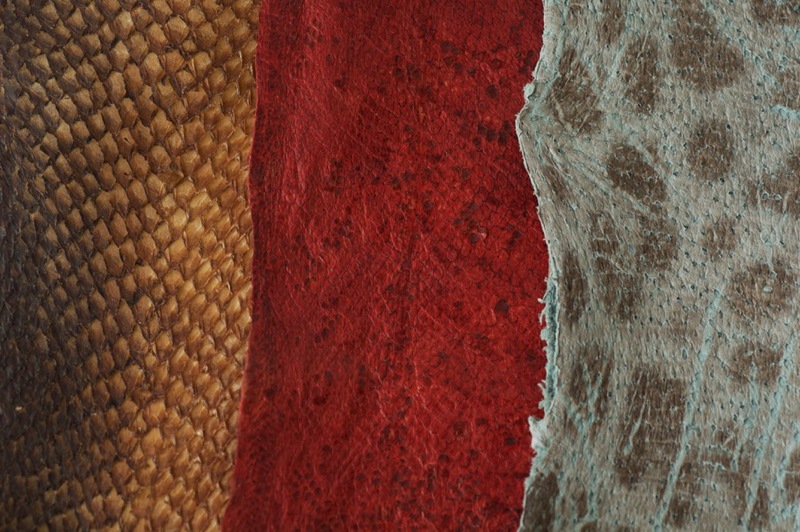 Specially cured fish leathers (L to R: salmon, cod, wolf fish).